Some spring games are loaded with drama as to who might be rising into starting positions. On Lehigh’s offense, which boasts a backup quarterback-turned-starter that threw for 1,000 yards last year, a 1,000 yard rusher, and two of the Top 10 receivers in all of FCS, drama for starting positions was, shall we way, lacking. 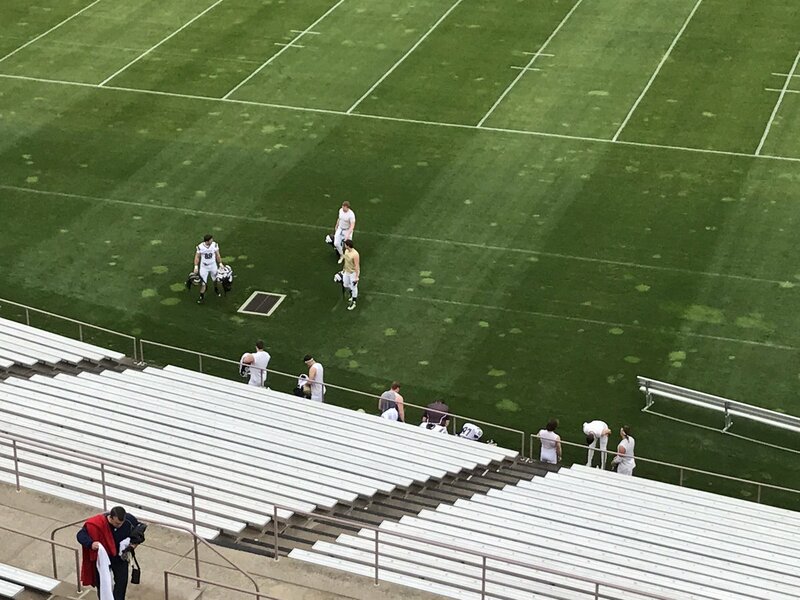 Instead, the scrimmage became a show as to what Lehigh fans might be able to hope to see in Setpember, a reminder of all the good things that may be in store. In that sense, even though they started out slow, junior QB Brad Mayes, junior RB Dominick Bragalone, senior WR Troy Pelletier and senior WR Gatlin Casey showed that they indeed still knew how to play some football. They all came to play, and in the process gave Lehigh fans a taste of an offense that has the potential to be special yet again. Probably the biggest news from the first few days of spring practice is a few changes on the depth chart that may not seem that important at first, but could pay off later this fall. It’s the switch of rising senior Marc Raye-Redmond to the offensive side of the ball, and rising junior Nick Thevaganayam to the defense. Raye-Redmond last season played mostly on special teams, and was listed as a defensive back. In his role on special teams, Marc excelled, not only notching 12 tackles but also getting 184 return yards alongside rising senior WR Gatlin Casey on kickoffs. Against Princeton last year, he had two returns for 49 yards. Thevaganayam also mostly appeared on special teams, rushing the ball a couple of times, but was buried on the depth chart behind junior RB Dominick Bragalone, junior RB Micco Brisker and senior RB Nana Amankwah-Ayeh. 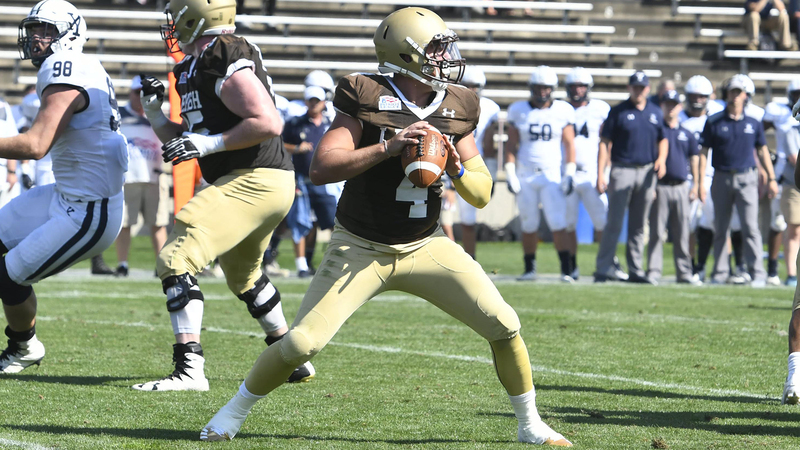 There’s a lot of excitement in Lehigh Nation about the upcoming spring football season as the Mountain Hawks look to defend their Patriot League Championship. Some things will be very familiar: watching RB Dominick Bragalone running the football, WR Gatlin Casey and WR Troy Pelletier catching them, and C Brandon Short anchoring the offensive line. Even Lehigh’s quarterback, QB Brad Mayes, will be a very familiar face, considering that he’s already spent a lot of time on the field the last two years. But elsewhere, there’s a lot of newness – as is common for many FCS programs this time of year. The departure of offensive coordinator Drew Folmar (Elon), special teams coach Ryan Dougherty (Oklahoma) and running backs coach Jamel Mutunga (Princeton) has meant some promotions and new faces on the coaching staff. So this Spring, in defense of their Patriot League Championship, what’s in store? Start off with some staff promotions from within that should mean some continuity from last season to this season.